N-tigen Insights introduces new tools, N-timer™ molecules. These molecules are designed/engineered to fit an application and perform according to user-defined requirements. The company focuses on creating alternatives to antibodies, where the antibody structure, epitope and other characteristics are not easily adaptable for a number of applications. These applications include: in vitro live cell imaging, diagnostics and in vivo imaging in research and clinical niches, where antibodies are used. N-timer™ molecules are small (<5kD), cell-penetrant, confer specific high affinity targeting to internal targets. No permeabilisation and fixation needed. Cells remain viable for downstream studies. Lower background, unbound molecules leave the cell during washes. N-timer™ molecules are designed to retain the binding characteristics of antibodies and offers additional advantages. 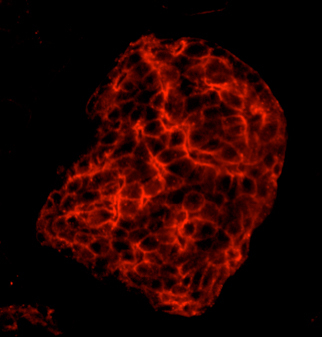 For example, N-timer™ molecule can be used to visualize intracellular targets in live cells. N-timer™ molecules exploit the protein to protein interactions of nature to create unique offerings addressing a challenge.